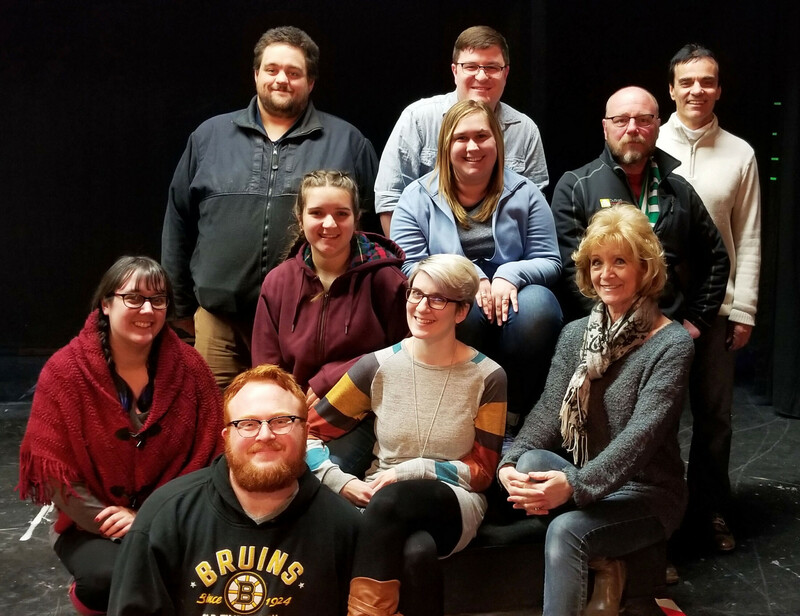 Director Paul G. Caron has announced his production crew for the upcoming Community Little Theatre production of the hit musical comedy. The puppet-filled comedy “Avenue Q” follows a group of 20-somethings seeking their purpose in big-city life. Winner of the Tony “Triple Crown” for Best Musical, Best Score and Best Book, “Avenue Q” is a truly unique show that has quickly become a favorite of audiences everywhere. With lots of comedy, satire and a sprinkling of profanity, the show is geared for an adult audience. Its themes include racism, substance abuse and sexuality. Pictured, from left, in the first row: Rebecca Caron, music director; Cody Watson, producer; Becca Tinkham, set décor; and Susan Caron, assistant to the director; second row: Danica Hemond, co-stage manager; Sarah Wing, co-stage manager/prompter; and Dan Kane, set design; back row: Matt Conklin, sound; Brandon Chaloux, stage manager; and Paul G. Caron, director. Absent when picture taken were Jake Boyce, choreographer and Carly Georgen, assistant choreographer. The show will be performed at the Great Falls Performing Arts Center on Academy Street in Auburn at 7:30 p.m. April 5, 6, 11, 12 and 13, and 2 p.m. April 7 and 14. For more information, visit LACLT.com.